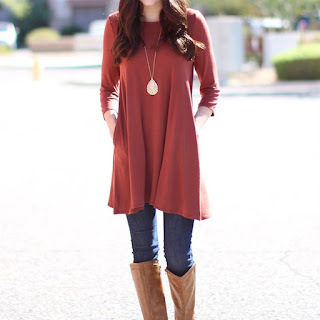 Check out these 3/4 Sleeve Pocket Tunic | S-XL ONLY $14.99 (Retail $29.99). This high-quality tunic is made with premium fabric and will be a staple in your wardrobe. Featuring pockets and comes in your favorite fall colors! $3.99 for the first item and $1.99 for each additional item. US only. Seller usually ships within 2 business days. Ships no later than Fri, Aug 10.